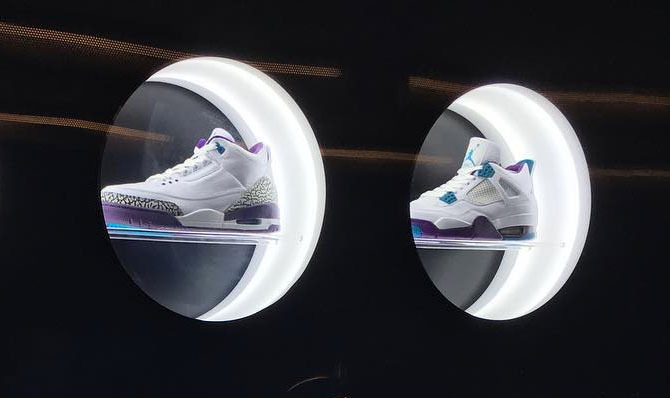 No, this isn't a new Niketown location in Charlotte — it's a look inside Michael Jordan's personal suite at the Hornets' arena. 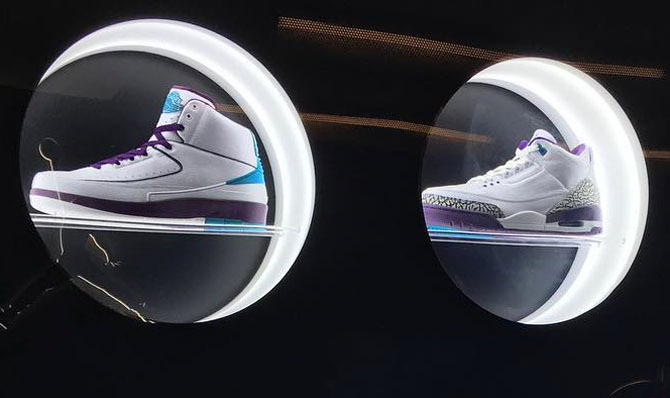 First spotted during Jordan's Twitter takeover last summer, this collection of Air Jordans brings his current team's colors to classic models. 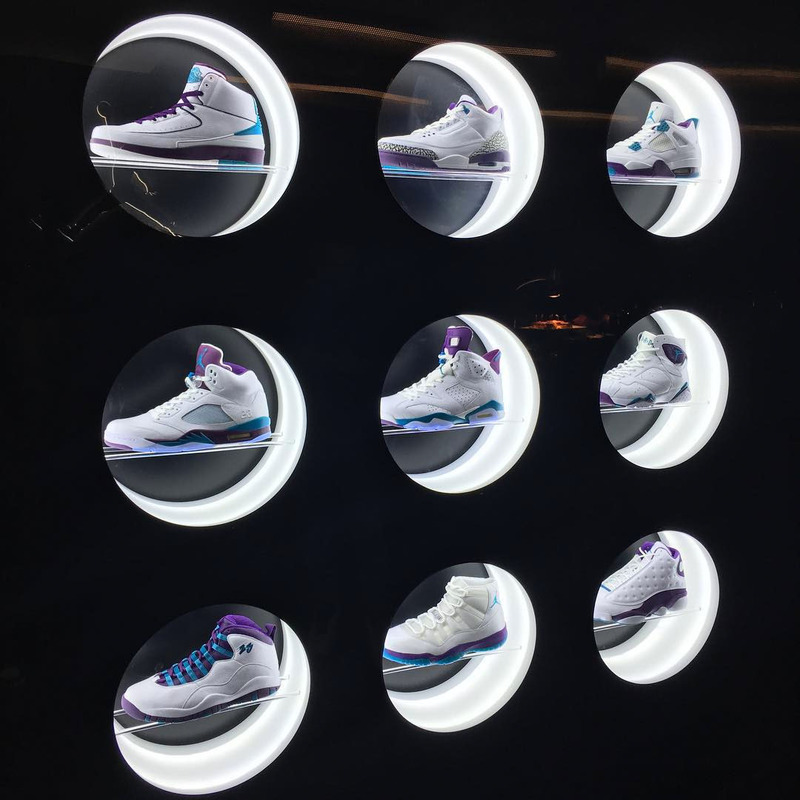 His brother-in-law offers a closer look at models 2-13, most of the models worn by Jordan during his title-winning stint with the Bulls. 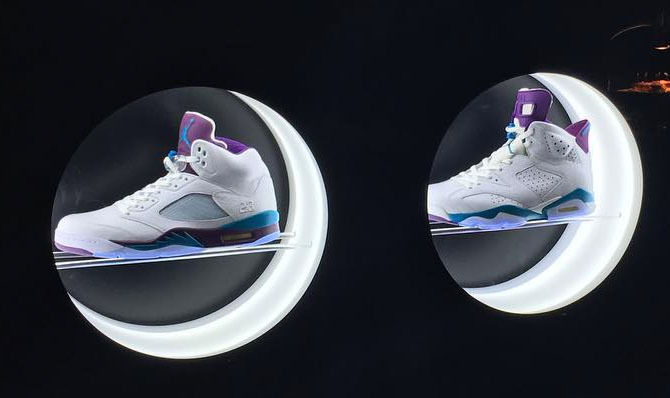 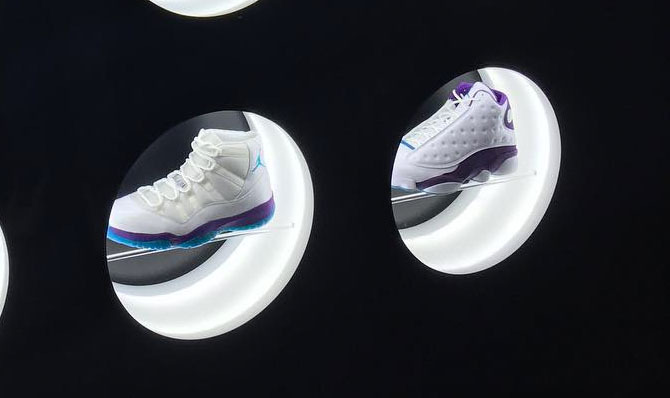 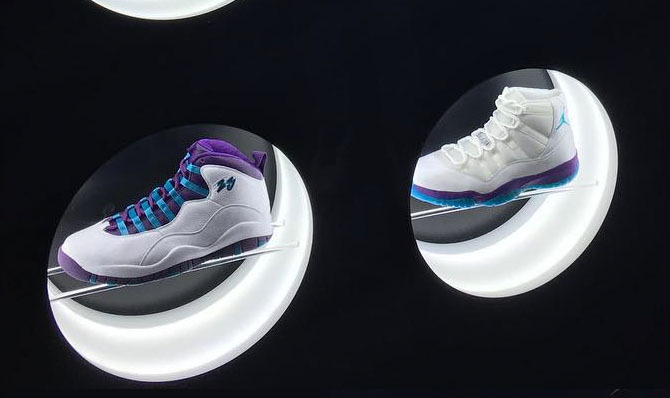 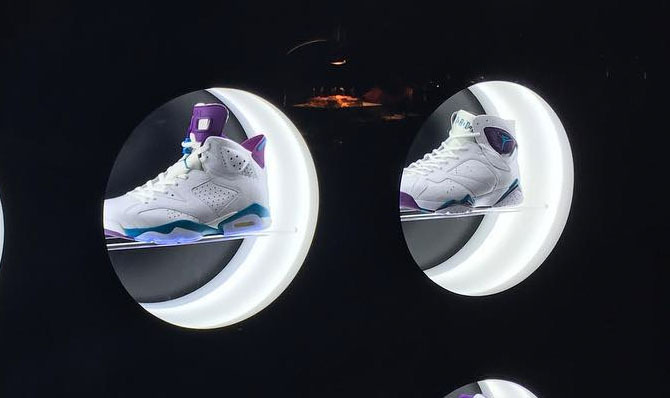 As of now, Jordan Brand hasn't announced plans to release any of the Hornets-themed samples.